Research Team: Associate Prof. Dr. Perumal Kumar, Prof. Murugesan Thanabalan (UTP); Dr. Bridgid Chin Lai Fui; Dr Wong Mee Kee. Research Team: Dr. John Lau Sie Yon, Dr. Mubarak Mujawar, Dr. Chua Han Bing and Ms. Sheena Lau Yien Jun. Jeevanandam, J. Chan, Y.S., Ku, Y.H. (2018). Aqueous Eucalyptus globulus leaf extract-mediated biosynthesis of MgO nanorod. Applied Biological Chemistry. 61 (2) 197-208. Phang, RKI, Chan, YS., Wong, KS., Lau, SY. (2018). Isolation and Characterisation of Urease-producing Bacteria from Tropical Peat. Biocatalysis and Agricultural Biotechnology. (In Press). S. Z. Saw, J. Nandong, and U. K. Ghosh, “Optimization of steady-state and dynamic performances of water-gas shift reaction in membrane reactor,” Chem. Eng. Res. Des., vol. 134, pp. 36–51, Jun. 2018. Q. H. Seer and J. Nandong, “Multi-scale control scheme: Stabilization of a class of fourth-order integrating-unstable systems,” J. FRANKLIN INSTITUTE-ENGINEERING Appl. Math., vol. 355, no. 1, pp. 141–163, Jan. 2018. Elochukwu Stephen Agudosi , Ezzat Chan Abdullah , N. M. Mubarak, Mohammad Khalid , Musa Yahaya Pudza , Ngozi Patricia Agudosi, Enemona David Abutu (2018). Journal of Environmental Chemical Engineering Article in Press, (ISI/Scopus-Cited Publication). Humair Ahmed Baloch, Sabzoi Nizamuddin, MTH Siddiqui, N.M. Mubarak, Deepa K Dumbre, MP Srinivasan, GJ Griffin (2018). Sub-supercritical liquefaction of sugarcane bagasse for production of bio-oil and char: Effect of two solvents. Journal of Environmental Chemical Engineering 6 (5), 6589-6601, (ISI/Scopus-Cited Publication). Jihn Yih Lim , N. M. Mubarak, Mohammad Khalid, E.C. Abdullah, Numan Arshid (2018). Novel Fabrication of Functionalized Graphene Oxide Via Magnetite and 1-Butyl-3-Methylimidazolium Tetrafluoroborate. Nano-Structures & Nano-Objects. Article in Press (ISI/Scopus-Cited Publication). Lau Yien Jun, N.M. Mubarak, Lau Sie Yon, Chua Han Bing, Mohammad Khalid, EC Abdullah (2018). Comparative study of acid functionization of carbon nanotube via ultrasonic and reflux mechanism. Journal of Environmental Chemical Engineering 6 (5), 5889-5896, (ISI/Scopus-Cited Publication). Sabzoi Nizamuddin, Humair Ahmed Baloch, M.T.H Siddiqui, N.M. Mubarak, M.M Tunio, Abdul Waheed Bhutto, Abdul Sattar Jatoi, Greg Griffin, Madapusi P Srinivasan. Reviews in Environmental Science and Bio/Technology. Article in Press ISI: Q1;IF 5.716 (ISI-Cited Publication). M.T.H Siddiqui, Sabzoi Nizamuddin, Humair Ahmed Baloch, N.M. Mubarak, M.M Tunio , Sajid Riaz , Khaula Shirin , Zakiuddin Ahmed, Munir Hussain (2018) Thermo-gravimetric pyrolysis for neem char using novel agricultural waste: A study of process optimization and statistical modeling. Biomass Conversion and Biorefinery, Article in Press ISI: Q3; IF1.31 (ISI-Cited Publication). Humair Ahmed Baloch, SabzoiNizamuddin, M.T.H.Siddiqui,Sajid Riaz, Abdul Sattar Jatoi, Deepa K.Dumbre, N.M. Mubarak, M.P.Srinivasan, G.J.Griffin (2018). Recent advances in production and upgrading of bio-oil from biomass: A critical overview; Journal of Environmental Chemical Engineering. Article In Press, (ISI/Scopus-Cited Publication). Lau Yien Jun, N.M. Mubarak, Min Juey Yee, Lau Sie Yon, Chua Han Bing, Mohammad Khalid, E.C. Abdullah (2018). An Overview of Functionalised carbon nanomaterial for organic pollutant removal. Journal of Industrial and Engineering Chemistry. Article In Press ISI: Q1; IF4.421 (ISI-Cited Publication). Sabzoi Nizamuddin, M.T.H. Siddiqui, N.M. Mubarak, Humair Ahmed Baloch, Shaukat Ali Mazari, M.M. Tunio, G.J. Griffin, M.P. Srinivasan, Akshat Tanksale, Riaz Sajid (2018). Advanced Nanomaterials Synthesis from Pyrolysis and Hydrothermal Carbonization: A Review. Current organic chemistry. 22(5),446-461 (ISI: Q2; IF 2.193 (ISI-Cited Publication). Jihn Yih Lim, N.M. Mubarak, E.C. Abdullah, Sabzoi Nizamuddin, Mohammad Khalid, Inamuddin (2018). Recent trends in the synthesis of graphene and graphene oxide based nanomaterials for removal of heavy metals-A review. Journal of Industrial and Engineering Chemistry. Article In Press ISI: Q1; IF4.421 (ISI-Cited Publication). Muhammad Wasim, Shahrukh Shoaib, N.M. Mubarak, Abdullah M Asiri (2018). Factors influencing corrosion of metal pipes in soils. Environmental Chemistry Letter. https://doi.org/10.1007/s10311-018-0731. ISI: Q2; IF3.594. (ISI-Cited Publication). Sabzoi Nizamuddin, Muhammad Tahir Hussain Siddiqui, Humair Ahmed Baloch, N.
M. Mubarak, Gregory Griffin, SrinivasanMadapusi, Akshat Tanksale (2018). Upgradation of the chemical, fuel, thermal and structural properties of rice husk through microwave-assisted hydrothermal carbonization. Environmental Science and Pollution Research. Article In Press ISI: Q2; IF2.741 (ISI-Cited Publication). Elochukwu Stephen Agudosi , Mohamad Amran Mohd Salleh , Ezzat Chan Abdullah, N. M. Mubarak, Mohammad. Khalid , Atiyyah Ameenah Azni (2018). Characterization of crystallized struvite on wastewater treatment equipment: Prospects for crystal fertilizer production. desalination and water treatment. Article In Press. ISI: Q2; IF1.631. (ISI-Cited Publication). Saptoro, A., Suhartono, J., 2018, Two phase permeability models of membrane gas separation: a comparative study, In: Membrane Technology for CO2 Sequestration (Ed: Jawad, Z.A. ), CRC Press (accepted). Asakuma, Y., Takahashi, S., Maeda, Y., Araki, N., Saptoro, A., 2018, Chemical Reaction Behavior in Liquid-liquid System under Non-contact Microwave Irradiation, Journal of the Japan Petroleum Institute 61 (2), 150-155 (Thomson Reuters’ Web of Science cited-publication, 2016 Impact Factor: 0.649). Vanitha Katheresan, Jibrail Kansedo, Sie Yon Lau. Efficiency of Various Recent Wastewater Dye Removal Methods: A Review. Journal of Environmental Chemical Engineering. https://doi.org/10.1016/j.jece.2018.06.060. (Available online 26 June 2018). Caleb Acquah, Michael K. Danquah, Yi Wei Chan, Charles K. S. Moy, Clarence M. Ongkudon & Sie Yon Lau. (2018) Chromatographic characterisation of aptamer-modified poly(EDMA-co-GMA) monolithic disk format for protein binding and separation, Separation Science and Technology, DOI: 10.1080/01496395.2018.1443139. K. W. D. Gan, A. C. M. Loy, L. F. B. Chin, S. Yusup, P. Unrean, E. Rianawati, M. N. Acda, 2018. Kinetics and Thermodynamic Analysis in Green Catalytic One-Pot Pyrolysis of Paddy Residue. Bioresource Technology 265, 180-190, DOI: https://doi.org/10.1016/j.biortech.2018.06.003. Q. H. Ng, L. F. B. Chin, S. Yusup, A. C. M. Loy, K. Y. Y. Chong, 2018. Modeling of the Co-Pyrolysis of Rubber Residual and HDPE Waste using the Distributed Activation Energy Model (DAEM). Applied Thermal Engineering 138, 336-345, DOI: https://doi.org/10.1016/j.applthermaleng.2018.04.069. C. M. A. Loy, K. W. D. Gan, S. Yusup, L. F. B. Chin, M. K. Lam, M. Shahbaz, P. Unrean, M. N. Acda, E. Rianawati. 2018. Thermogravimetric Kinetic Modelling of In-Situ Catalytic Pyrolytic Conversion of Rice Husk to Bioenergy using Rice Hull Ash Catalyst. Bioresource Technology 261, 213-222, DOI: 10.1016/j.biortech.2018.04.020. C. M. A. Loy, S. Yusup, M. K. Lam, L. F. B. Chin, M. Shahbaz, A. Yamamoto, M. N. Acda. 2018. The Effect of Disposal Waste Coal Bottom Ash in Catalytic Pyrolysis of Malaysian Rice Husk for Syngas Production, Energy Conversion and Management 165, 541-554, DOI: 10.1016/j.enconman.2018.03.063. P. Unrean, L. F. B. Chin, E. Rianawati, M. Acda. 2018. Comparative Techno-Economic Assessment and Environmental Impacts of Rice Husk-to-Fuel Conversion Technologies. Energy 151, 581-593, DOI: 10.1016/j.energy.2018.03.112. Yeo, Wan Sieng, Yin Ling Tan, and Yudi Samyudia. 2018. “Development of an Integrated Technique for Energy and Property Integration in Batch Processes.” Industrial & Engineering Chemistry Research 57(6): 2178 – 2191. doi: 10.1021/acs.iecr.7b03803. Vivianna Maria Mickel, Wan Sieng Yeo, and Agus Saptoro. 2018. “The development of trimmed scores regression locally weighted Kernel partial least squares for nonlinear chemical process data with missing measurements.” Proceeding of one Curtin international postgraduate conference (OCPC) 2018, Miri, Sarawak, Malaysia, 26 – 28 November 2018. Wan Sieng Yeo, Agus Saptoro, and Perumal Kumar. 2018. “PLS based non-Adaptive and LW-PLS based Adaptive soft sensor development with missing data.” Proceeding of one Curtin international postgraduate conference (OCPC) 2018, Miri, Sarawak, Malaysia, 26 – 28 November 2018. Raza, A., Gholami, R., Rezaee, R., Bing, C.H., Nagarajan, R. and Hamid, M.A., 2017. Preliminary assessments for CO2 storage in carbonate formations: a case study from Malaysia. Journal of Geophysics and Engineering, IOP, 14: 535–556 (22pp). Raza, A., Gholami, R., Rezaee, R., Bing, C.H., Nagarajan, R. and Hamid, M.A., 2017. Well selection in depleted oil and gas fields for a safe CO2 storage practice: a case study from Malaysia. Petroleum, KeAi, 3/1: 167-177. Raza, A., Gholami, R., Rezaee, R., Bing, C.H., Nagarajan, R. and Hamid, M.A., 2017. Preliminary assessment of CO2 injectivity potential in carbonate storage sites. Petroleum, KeAi, 3/1: 144-154. Raza, A., Gholami, R., Rezaee, R., Bing, C.H., Nagarajan, R. and Hamid, M.A., 2017. Assessment of CO2 residual trapping in depleted reservoirs used for geosequestration. Journal of Natural Gas Science and Engineering, 43C: 137-155. Seer, Qiu Han, and Jobrun Nandong. “Stabilization and PID tuning algorithms for second-order unstable processes with time-delays.” ISA transactions 67 (2017): 233-245. Sabzoi Nizamuddin, M. T.H Siddiqui, N M. Mubarak, Humair Ahmed Baloch, Shaukat Ali Mazari, M. M Tunio, G. J. Griffin, M.P Srinivasan, Akshat Tanksale, Sajid Riaz (2017). Advanced nanomaterials synthesis from pyrolysis and hydrothermal carbonization: A review. Current organic chemistry. Article In Press (ISI: Q2; IF 1.924 (ISI-Cited Publication). M.T.H Siddiqui, Sabzoi Nizamuddin, N. M. Mubarak, Khaula Shirin, Muhammad Aijaz, Munir Hussain (2017). Characterization and process optimization of biochar produced using novel biomass, waste pomegranate peel: a response surface methodology approach. waste and biomass valorization. Accepted on 18 September (ISI: Q3; IF 1.337. (ISI-Cited Publication). Ruthiraan, E.C. Abdullah, N.M. Mubarak, M.N. Noraini (2017). A promosing route of magnetic based materials for removal of Cadmium and methylene blue from waste water. Journal of Environmental Chemical Engineering, 5, 1447-1455. (ISI-Cited Publication). Sabzoi Nizamuddin, Humair Ahmed Baloch, G. J. Griffin, N. M. Mubarak, Abdul Waheed Bhutto, Rashid Abro , Shaukat Ali Mazari, Brahim Si Ali (2017). An overview of effect of process parameters on hydrothermal carbonization of biomass, Renewable & Sustainable Energy Reviews, 73,1289-1299. ISI: Q1; IF: 6.798. (ISI-Cited Publication). K.R. Thines, E.C. Abdullah, N.M. Mubarak, M. Ruthiraan (2017). Synthesis of magnetic biochar from agricultural waste biomass to enhancing route for waste water and polymer application: A review, Renewable & Sustainable Energy Reviews, 67,257-276. ISI: Q1; IF: 6.798. (ISI-Cited Publication). K.R. Thines, E.C. Abdullah, N.M. Mubarak, M.Ruthiraan (2017). In-situ polymerization of magnetic biochar – polypyrrole composite: A novel application in supercapacitor. Biomass and Bioenergy. 98, 95-111. ISI: Q1; IF: 3.249. (ISI-Cited Publication). K.R. Thines, N.M, Mubarak, Sabzoi Nizamuddin, J.N. Sahu, E.C. Abdullah (2017). Application potential of carbon nanomaterials in water and wastewater treatment: a review”. Journal of the Taiwan Institute of Chemical Engineers. 72,116-133. ISI: Q1; IF 2.848. (ISI-Cited Publication). Ruthiraan, E.C. Abdullah, N.M. Mubarak, K.R. Thines (2017). New generation of magnetic microporus material for enhancing route for methylene blue removal from waste water. Journal of Environment and Biotechnology Research. 6 (1), 105-116. N.M. Mubarak, A. Faghihzadeh, K.W. Tan, J.N. Sahu E.C. Abdullah, N.S. Jayakumar (2017). Microwave assisted carbon nanofibers for removal of zinc and copper from waste water. Journal of Nanoscience and Nanotechnology 17 (3), 1847-1856. ISI: Q2; IF 1.556. (ISI-Cited Publication). M.W. Yap, N.M. Mubarak, J.N. Sahu, E.C. Abdullah (2017). Microwave induced synthesis of magnetic biochar from agricultural biomass for removal of lead and cadmium from, Journal of Industrial and Engineering Chemistry. 45, 287-295. ISI: Q1; IF 4.179. (ISI-Cited Publication). Tan Y. Y., Tang F. E., Saptoro A., Khor E. H., 2017, The interaction between outflow dynamics and removal of NH4+-N in a vertical flow constructed wetlands treating septage. In: Civil, Architecture and Environmental Engineering, Volume 2 (Eds: Jimmy C.M. Kao and Wen-Pei Sung), CRC Press/Balkema, pp. 1141-1146. Asakuma, Y., Nakata, R., Saptoro, A., 2017, Bubble formation in water with magnetite nanoparticles during microwave irradiation Chemical Engineering & Processing: Process Intensification, 119, 101-105 (Thomson Reuters Web of Science cited-publication, 2016 Impact Factor: 2.234). Asakuma, Y., Takahashi, S., Maeda, Y., Araki, N., Saptoro, A., 2017. Chemical reaction behavior in a liquid-liquid system under non-contact microwave irradiation, Journal of the Japan Petroleum Institute, accpted (Thomson Reuters Web of Science cited-publication, 2016 Impact Factor: 0.649). Asakuma, Y., Matsumura, S., Saptoro, A., 2017, In-Situ Observation of Nanoparticle Formation Under Different Power of Microwave Irradiation, Crystal Research & Technology, DOI: 10.1002/crat.201700108 (Thomson Reuters Web of Science cited-publication cited-publication, 2016 Impact Factor: 1.0). Yeo, C.W.S, Saptoro, A., Kumar, P., 2017, Development of Adaptive Soft Sensor using Locally Weighted Kernel Partial Least Square Model, Chemical Product and Process Modeling, In press, DOI: https://doi.org/10.1515/cppm-2017-0022 (SCOPUS cited journal). Tiong, N. T .A., Saptoro, A., Kumar, P., 2017, Numerical studies on the laminar thermal-hydraulic efficiency of water-based Al2O3 nanofluid in circular and non-circular ducts, Chemical Product and Process Modeling, In press, DOI: https://doi.org/10.1515/cppm-2017-0019 (SCOPUS cited journal). Malang, J., Kumar, P., Saptoro, A., Tadé, M.O., 2017, Comparison of Turbulence Models for Single Sphere Simulation Study under Supercritical Fluid Condition, Chemical Product and Process Modeling, In press, DOI: https://doi-org.dbgw.lis.curtin.edu.au/10.1515/cppm-2017-0026. Tan, K. X., Danquah, M. K., Sidhu, A., Lau, S. Y. and Ongkudon, C. M. (2017), Biophysical characterization of layer-by-layer synthesis of aptamer-drug microparticles for enhanced cell targeting. Biotechnol Progress. doi:10.1002/btpr.2524. Jeevanandam, J., Chan, YS., Danquah, MK (2017). Biosynthesis and characterization of MgO nanoparticles from plant extracts via induced molecular nucleation. New Journal of Chemistry 41: 2800-2814. Yeong, SP., Law, MC, Vincent Lee, CC., Chan, YS (2017). Modelling batch microwave heating of water. IOP Conference Series: Materials Science and Engineering 217:012035 (Doi:10.1088/1757-899X/217/1/012035). Jeevanandam, J., Aing, YS., Chan, YS., Pan, S., Danquah, MK (2016) Chapter 3: Nano-formulation and application of phytochemicals as antimicrobial agents. Antimicrobial nanoarchitectonics (1st Edition): From synthesis to application. Elservier. Nnaji, OC., Jeevanandam, J., Chan, YS, Danquah, MK, Pan, S., Barhoum, A. (2017) Chapter 13: Engineered nanomaterials for wastewater treatment-Current and future trends. Fundamentals of nanoparticles (1st edition) Elsevier. R.J. Lee, Z.A. Jawad, A.L. Ahmad, J.Q. Ngo, H.B. Chua (2017) Improvement of CO2/N2 separation performance by polymer matrix of cellulose acetate butyrate. IOP Conference Science:Materials Science and Engineering. In Press. (Scopus Indexed). A. L. Ahmad, Y.O. Salaudeen, Z. A. Jawad (2017) Synthesis of Asymmetric Polyetherimide (PEI) Membrane For CO2/N2 Separation. IOP Conference Science:Materials Science and Engineering. In Press. (Scopus Indexed). Z. A. Jawad, A. L. Ahmad, S. C. Low, C. F. B. Soh, E. W. T. Seng, L. Sugu, T. L. Chew (2017) Enhancing the Physical Stability of MWCNTS via β-CD Coating: Role of Washing Cycle on the β-CD Binding. Journal of Physics Science. 28, 145-153. (Scopus Indexed). A. L. Ahmad, Y.O. Salaudeen, Z. A. Jawad, (2017) Thickness Effect on the Morphology and Permeability of CO2/N2 Gases in Asymmetric Polyetherimide Membrane. Journal of Physics Science. 28, 201-213. (Scopus Indexed). R.J. Lee, Z.A. Jawad, A.L. Ahmad, H.B. Chua (2017) A novel mixed matrix membrane of Cellulose Acetate Butyrate /functionalized multi-walled carbon nanotubes for CO2/N2 separation. The 30th Symposium of Malaysia Chemical Engineers (SOMCHE 2017), 6th-7th December, Kuala Lumpur, Malaysia. R.J. Lee, Z.A. Jawad, A.L. Ahmad, H.B. Chua (2017) Incorporation of functionalized MWCNTs into cellulose acetate butyrate polymeric matrix to enhance CO2/N2 separation. 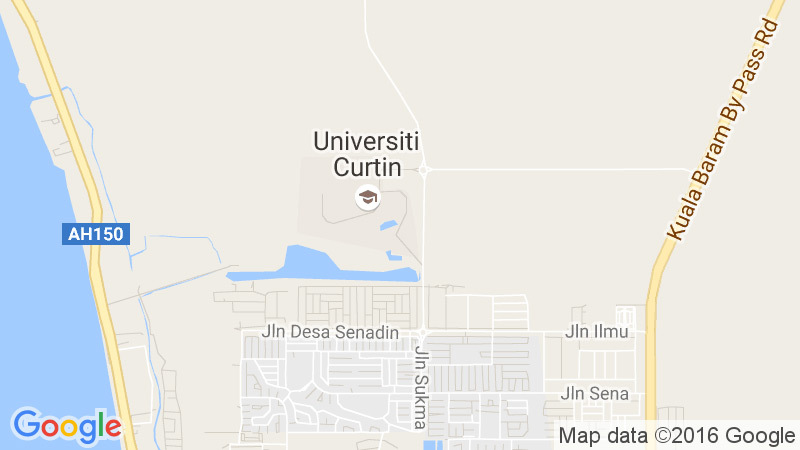 One Curtin International Postgraduate Conference (OCPC 2017), 10th-12th December, Miri, Sarawak, Malaysia. Lakshmi G.J.S., Tay, C.L., Pang, S.C. & Chin, S.F. (2017, Oct). Electrochemical reduction and deposition of reduced graphene oxide/manganese oxide composite for supercapacitor applications via Pulse-Chronoamperometry. 3rd International Conference on the Application of Science and Mathematics (SCIEMATHIC 2017), Pagoh, Johor, Malaysia. Wan Sieng Yeo, Agus Saptoro and Perumal Kumar. 2017. “Adaptive Soft Sensor based on modified locally weighted partial least square algorithm for non-Gaussian and nonlinear processes.” Proceeding of one Curtin international postgraduate conference (OCPC) 2017, Miri, Sarawak, Malaysia, 10 – 12 December 2017. Tey, X.Y., Ng, W.P.Q., Lam, H.L., Au, P.I., Law, K.H., 2017, Optimisation and Debottlenecking of Biomass Processing Network, 6th Conference on Emerging Energy and Process Technology (CONCEPT) 2017, 28-29 November 2017, Johor, Malaysia. Saptoro, A., Kanazawa, Y., Asada, M., Asakuma, Y., Phan, C., 2016, Microwave Irradiation based Non-Chemical Method to Manipulate Surface Tension of Nanofluids, Experimental Thermal and Fluid Science, 72, 228-234 (ISI cited-publication, 2014 Impact Factor: 1.99). Chiong T, Acquah C, Lau S. Y, Khor E. H, Danquah M. K. (2016). Microalgal-Based Protein Byproducts: Extraction, Purification and Applications. In “Waste-derived proteins: Transformation from environmental burden into value-added products”, GS Dhillon (Editor), Elsevier publishers (In press). Zeng X, Guo X, Su G, Danquah M. K, Chen X. D, Lin L, Lu Y. (2016). Harvesting of microalgal biomass. In “Algae Biotechnology: Products and Processes”, F. Bux and Y. Chisti (Editors). Springer (In press). N.M. Mubarak, J.N. Sahu, E.C. Abdullah, N.S. Jayakumar (2016). Palm oil empty fruit bunch based magnetic biochar composite comparison for synthesis by microwave-assisted and conventional heating, Journal of Analytical and Applied Pyrolysis, 120, 521-528 ISI:Q1;IF 3.652. (ISI-Cited Publication). N.M. Mubarak, J.N. Sahu, E.C. Abdullah, N.S. Jayakumar (2016). Rapid adsorption of toxic Pb (II) ions from aqueous solution using multiwall carbon nanotubes synthesized by microwave chemical vapour deposition technique. Journal of Environmental Sciences. 45, 143-155 ISI: Q2; IF 2.002. (ISI-Cited Publication). K.R. Thines, E.C. Abdullah, M. Ruthiraan, N.M. Mubarak, T. Manoj (2016). A new route of magnetic biochar based polyaniline composites for supercapacitor electrode materials, Journal of Analytical and Applied Pyrolysis. 121, 240-257. ISI: Q1; IF 3.652. (ISI-Cited Publication). Sabzoi Nizamuddin, N.M. Mubarak, Manoj Tiripathi, NS Jayakumar, JN Sahu, P Ganesan (2016) Chemical, dielectric and structural characterization of optimized hydrochar produced from hydrothermal carbonization of palm shell. Fuel, 163, 88-97, ISI: Q1; IF 3.520. (ISI-Cited Publication). M.N. Noraini, E.C. Abdullah, R. Othman, N.M. Mubarak (2016) Single-route Synthesis of Magnetic Biochar from Sugarcane Bagasse by Microwave-Assisted Pyrolysis, Materials Letters. 184, 315-319 ISI: Q1; IF 2.437. (ISI-Cited Publication). N.M Mubarak, S.Shapnathayamma, T.G Suchithra, J.N.Sahu, E.C Abdullah et al, (2016). Adsorption and Kinetic Study on Mg2+ Removal from Waste Water using Rice Husk based Magnetic Biochar, Research & Reviews: Journal of Pure and Applied Physics (2016). 4 (2), 102-111. NM Mubarak, JN Sahu.(2016). High-performance removal of toxic phenol by single-walled and multi-walled carbon nanotubes: Kinetics, adsorption, mechanism and optimization studies, Journal of Industrial and Engineering Chemistry,35,63-74 ISI: Q1;IF 3.512 . (ISI-Cited Publication). N.M. Mubarak, M. Thobashinni, E.C. Abdullah, J.N. Sahu, (2016). Comparative kinetic study of removal of Pb2+ ions and Cr3+ ions from waste water using carbon nanotubes produced using microwave heating. C-Journal of Carbon Research, 2(1),7, doi:10.3390/c2010007. Tan KX, Danquah MK, Sidhu A, Lau SY, Ongkudon CM. (2016 ). Aptamer-mediated polymeric vehicles for enhanced cell-targeted drug delivery. Current Drug Targets. 17 (16), 1-11. Tan KX, Danquah MK, Sidhu A, Ongkudon CM, Lau SY. (2016). Towards targeted cancer therapy: Aptamer or oncolytic virus? European Journal of Parhameutical Science, 96, 8-19. C Acquah, LS Yon, Z Tuah, NL Ngee, MK Danquah. (2016). Synthesis and performance analysis of oil palm ash (OPA) based adsorbent as a palm oil bleaching material. Journal of Cleaner Production 139, 1098-1104. Tung Chiong, Sie Yon Lau, Zhan Hong Lek, Yew Koh Boon, Michael K. Danquah, Enzymatic treatment of methyl orange dye in synthetic wastewater by plant-based peroxidase enzymes, (2016). Journal of Environmental Chemical Engineering. ISSN 2213-3437, http://dx.doi.org/10.1016/j.jece.2016.04.030. Jeevanandam, J., Chan, Y. S., Danquah., M. K. (2016). Nano-formulation of drugs: recent developments, impact and challenges. Biochimie 128: 99-112. M.C., Law, E. L. Liew,. S. L. Chang, Y. S. Chan, C.P. Leo (2016). Modelling microwave heating of discrete samples of oil palm kernels. Applied Thermal Engineering 98:702-726. Mat Don, M., Chan, Y. S. and Jeevanandam, J. (2016) Chapter 8: Antimicrobial Properties of Nanobiomaterials and the Mechanicsm. Nanobiomaterials in Antimicrobial Therapy. Applications of Nanobiomaterials Volume 6. 261-312. P.C.Tan, Z.A.Jawad, B.S.Ooi, A.L.Ahmad, S.C.Low (2016) Correlation between Polymer Packing and Gas Transport Properties for CO2/N2 Separation in Glassy Fluorinated Polyimide Membrane. Journal of Engineering Science and Technology. In Press. Artan A, Acquah C, Danquah M. K, Ongkudon C. M. Process Analysis of Microalgae Biomass Thermal Disruption for Biofuel Production (Book Chapter No. 7; pages 113-131). In “Advances in Bioprocess Technology”, Ravindra Pogaku (Editor), Springer (2015). Agyei, D., Danquah, M. K., Sarethy, I. P., Pan, S. Antioxidative peptides derived from food proteins (Book Chapter No.27; pages 417-430). In “Free Radicals in Human Health and Disease”. V. Rani and U.C.S. Yadav (Editor). Springer (2015). Agyei D, Potumarthi R, Danquah M. K (2015). Food-derived multifunctional bioactive proteins and peptides: Sources and production (Book Chapter No. 19; pages 483 – 505). In “Biotechnology of Bioactive Compounds”, Vijai Kumar (Editor), Wiley-Blackwell Publishers. Agyei D, Potumarthi R, Danquah M. K (2015). Food-derived multifunctional bioactive proteins and peptides: Applications and recent advances (Book Chapter No. 20; pages 507 – 524). In “Biotechnology of Bioactive Compounds”, Vijai Kumar (Editor), Wiley-Blackwell Publishers. N.M. Mubarak, J.N. Sahu, E.C. Abdullah,N.S.Jayakumar, P.Ganesan. Microwave-induced multiwall carbon nanotubes enhancing Cu (II) adsorption capacity in aqueous media. Journal of Tiawan instituite of chemical engineers, (2015), 53,140–152, ISI:Q1;IF 3.0. (ISI-Cited Publication). N.M. Mubarak, J.N. Sahu, E.C. Abdullah,N.S.Jayakumar, P.Ganesan. Microwave-assisted synthesis of multi-walled carbon nanotubes for enhanced removal of Zn (II) from wastewater, Research on Chemical Intermediates, (2015), 1-25, ISI: Q3; IF 1.221. (ISI-Cited Publication). Venkatesh, S.Z Mohamed Shamshuddin, N.M. Mubarak. Effective synthesis of quinoxalines over ceria based solid acids coated on honeycomb monoliths, Indian Journal of Chemistry, (2015), 54A, 843-850. ISI:Q3 ;IF 0.851. (ISI-Cited Publication). A. Kundu, M.A. Hashim, J.N. Sahu , N.M. Mubarak, Ghufran Redzwan. Optimization of the process variables in production of activated carbon by microwave heating. RSC Adv., (2015), 5, 35899, ISI:Q1;IF 3.84. (ISI-Cited Publication). N. M. Mubarak, E. C. Abdullah, J. N. Sahu, N. S. Jayakumar, and P. Ganesan. Mass Production of Carbon Nanofibers Using Microwave Technology. J. Nanosci. Nanotechnol., (2015),15, 9571-9577. ISI:Q3;IF 1.556. (ISI-Cited Publication). N.M. Mubarak, Faridah Y Protein Purification in Chromatographic Media using Multiwall Carbon Nanotubes. J Bioproces Biotech (2015), 5(3), 1000214. IF 2.55 (Scopus Cited Publication). N. M. Mubarak, Y.T.Fo, Hikmat Said Al-Salim, J.N. Sahu, E.C. Abdullah, S. Nizamuddin, N.S.Jayakumar, P.Ganesan. Removal of methylene blue and orange-G from waste water using magnetic biochar. International journal of nanoscience. (2015),14(3), 1550009 (13 pages). Scopus cited publication. N. Sabzoi, N. S. JayaKumar, J. N. Sahu, P. Ganesan, N. M. Mubarak, S. A. Mazari, Hydrothermal carbonization of oil palm shell. Korean journal of chemical engineering (2015), 32 (9), 1789-1797. ISI: Q3; IF 1.241. (ISI-Cited Publication). M. Ruthiraan, N.M. Mubarak, R.K. Thines, E.C. Abdullah, J.N. Sahu, N.S.Jayakumar,P.Ganesan. Comparative kinetic study of functionalized carbon nanotubes and magnetic biochar for removal of Cd2+ ions from waste wate. Korean journal of chemical engineering, (2015),32(2), 446-457, ISI: Q3; IF: 1.241. (ISI-Cited Publication). Tze, A.T.N., Kumar, P., Saptoro, A., 2015, Reviews on Drag Reducing Polymers, The Korean Journal of Chemical Engineering, 32 (8), 1455-1476 (ISI cited publication, 2014 Impact Factor: 1.166). Malang, J., Kumar, P., Saptoro, A., 2015, Computational Fluid Dynamics based Hydrodynamics Studies in Packed Bed Columns: Current Status and Future Directions, International Journal of Chemical Reactor Engineering (inpress, DOI: 10.1515/ijcre-2014-0121,ISI cited-publication, 2014 Impact Factor: 0.592). Pijar Religia, Niken Taufiqurrahmi, Yalun Arifin (2015), Preliminary study of phycocyanin extraction optimization from Spirulina platensis biomass, Makara Journal of Technology, accepted. Z. A. Jawad, A. L. Ahmad, S. C. Low, S. H. S. Zein (2015) Incorporation of inorganic carbon nanotubes fillers into the CA polymeric matrix for improvement in CO2/N2 separation. Journal of Current Nanoscience, 11, 1, 69-79. Z. A. Jawad, A. L. Ahmad, S. C. Low, T. L. Chew, S. H. S. Zein (2015) Influence of solvent exchange time on mixed matrix membrane separation performance for CO2/N2 and a kinetic sorption study. Journal of Membrane Science, 476, 590-601. Faisal Amri Tanjung, Azman Hassan, Mahbub Hasan. (2015). Use of epoxidized natural rubber a toughening agent in plastics: a review. Journal of Applied Polymer Science, 132: 42270-42278. Reza Arjmandi, Azman Hassan, Stephen J. Eichorn, Mohamad Haafiz Mohamad Kassim, Zainoha Zakaria, and Faisal Amri Tanjung. (2015). Enhanced ductility and tensile properties of hybrid montmorilonite/cellulose nanowhiskers reinforced polylactic acid nanocomposites. Journal of Materials Science, 50: 3118-3130. Vaniespree Govindan, Salmah Husseinsyah, Teh Pei Ling, MM Zakaria, and Faisal Amri Tanjung. (2015). Regenerated Cellulose/Nypa Fruticans Fiber Biocomposite Films Using Ionic Liquid. Applied Mechanics and Materials, 754: 266-270. Zheng C, Zeng X, Danquah M. K, Lu Y. NaCS-PDMDAAC immobilized cultivation of recombinant Dictyostelium discoideum for soluble human Fas ligand production. Biotechnology Progress (Accepted on 26 November 2014). Zeng X, Danquah M. K, Sun Y, Zhang S, Lu Y, Lin L. Bioprocess considerations for microalgal-based wastewater treatment and biomass production. Renewable and Sustainable Energy Review (Accepted on 2 November 2014). Harun R, Danquah M. K, Thiruvenkadam S. Particulate size of microalgal biomass affects hydrolysate properties and bioethanol concentration. Bio-Med Research International (Journal of Biomedicine and Biotechnology). Vol 2014, Article ID 435631, DOI.org/10.1155/2014/435631 (2014). Ongkudon C. M, Danquah M. K. Analysis of endotoxins removal from clarified cell lysates by divalent metal cations-induced aggregation. Separation Science and Technology 49 (1) (2014) 39-46. Chan A. S, Danquah M. K, Agyei D, Hartley P. G, Zhu Y. A simple microfluidic chip design for fundamental bioseparation. Journal of Analytical Methods in Chemistry, vol. 2014, Article ID 175457, doi:10.1155/2014/175457 (2014). Chan A. S, Danquah M. K, Agyei D, Hartley P. G, Zhu Y,. A parametric study of a monolithic microfluidic system for on-chip biomolecular separation. Separation Science and Technology 49(6) (2014) 854-860. Zeng X, Quek C. X, Danquah M. K, Woo M. W, Lu Y, Chen X. D. Falling film evaporation characteristics of microalgae suspension for biofuel production. Applied Thermal Engineering 62 (2) (2014) 341-350. Harun R, Yip J, Thiruvenkadam S, Azlina W. A. K, Cherrington T, Danquah M. K. Algal Biomass conversion to Bioethanol – a step-by-step assessment. Biotechnology Journal 9(1) (2014) 73-86. Nandong, J. “A unified design for feedback-feedforward control system to improve regulatory control performance.” Int. J. Control, Automation and Systems, (accepted 2014). Nandong, J.; Zang, Z. “Generalized multi-scale control scheme for cascade processes with time-delays.” J. Process Control 24 (2014) 1057-1067. Nandong, J.; Zang, Z. “Multi-loop design of multi-scale controllers for multivariable processes.” J. Process Control 24 (2014) 600-612. Mohd Shariq Khan, Yus Donald Chaniago, Mesfin Getu, Moonyong Lee. (2014). Energy saving opportunities in integrated NGL/LNG schemes exploiting: Thermal-coupling common utilities and process knowledge. Chemical Engineering and Process Intensification (Elsevier). Article In Press, Accepted manuscript. Gonawan, F.N., Sie Yon, L., Kamaruddin, A.H., Uzir, M.H. Rapid base-catalyzed racemization of (R)-ibuprofen ester in isooctane-dimethyl sulfoxide medium with improved kinetic model (2014) Industrial and Engineering Chemistry Research, 53 (2), pp. 635-642. Tay, C.L. & Law, M.C. (2014) Numerical Modelling of Molten Carbonate Fuel Cell: Effects of Gas Flow Direction in Anode and Cathode. Special Issue: Engineering Goes Green – CUTSE 2012. Pertanika Journal of Science & Technology, 22(2). Mesfin Getu, Shuhaimi Mahadzir, Moonyong Lee. (2013).A performance study for representative natural gas liquid (NGL) recovery processes under various feed conditions. Selected paper from PSE ASIA accepted for publication. J. Nandong, Y. Samyudia and M.O. Tadé, Optimal partial control structure design – A case study of extractive alcoholic fermentation system, PSE Asia, Kuala Lumpur, 25-27 June, 2013. B. Ugon, J. Nandong and Z. Zang, Multi-scale control of integrating time-delay processes, PSE Asia, Kuala Lumpur, 25-27 June, 2013. E.W.T. Liew, J. Nandong and Y. Samyudia, Modeling of cassava fermentation using expanded microbial kinetics (EMK) model, PSE Asia, Kuala Lumpur, 25-27 June, 2013. J. Nandong and Z. Zang, Multi-scale control – Improved technique to overcome time-delay, IEEE Conference on Industrial Electronics and Applications (ICIEA 2013), Melbourne, Australia, 19-21 June, 2013.